Want to tour Somerset but don’t drive or have a car? We recommend Visit Somerset’s professional taxi service. To book, ring 07514 747240/ 07760 558446 or email neville@visitsomerset.co.uk. 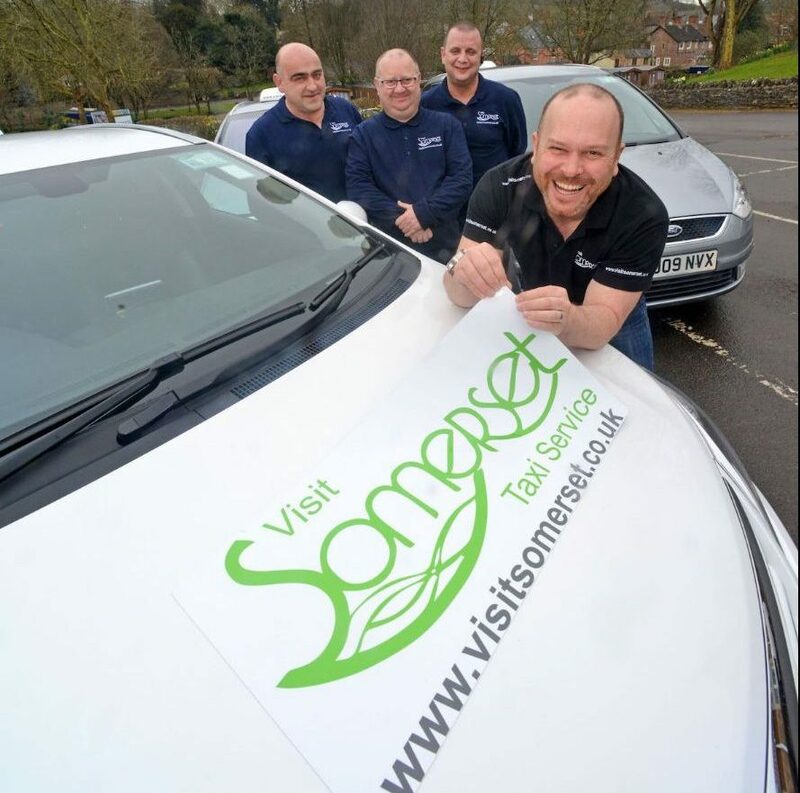 The Visit Somerset team deliver a truly personable and bespoke service, offering transfers to and from railway and bus stations across the county, airport transfers and sightseeing trips and tours. If you’ve got a few hours or (even a whole day) to spare, you can hire a taxi to take you to some of Somerset’s hidden gems. Tailor-Made Tours Can Be Arranged With Prior Agreement. We can pick you up from anywhere within Somerset and do 3-4 stops: sightseeing, shopping or local events of your choice. This is based on an 8-hour tour. We are available 7 days a week. TRANSFERS – from all local bus stations, train stations and airports are also available to and from your destination within the county. Glastonbury Tor – A site of religious significance for over 1000 years with its Pagan beliefs still very much celebrated. Its 510ft summit will give you breath-taking views looking out to the Isle of Avalon. Glastonbury Town Centre and Abbey – Time to take in the atmosphere of Glastonbury and explore all of the shops. Glastonbury Abbey was one of the first Christian churches in England, set in beautiful grounds. Legend has it that King Arthur was buried here. Street Village – Famous for its outdoor shopping at Clarks Village, with nearly 100 stores and delightful places to eat. Street is also famous for shoes and you can visit the Clarks Shoe Museum. Dear Leap View – Worth a short stop to take in the view of Wells and Glastonbury Tor. On a good day you can see all the way down to Minehead, some 45 miles away. Cheddar Gorge – The biggest gorge in Britain. We will drive you down through the gorge to the town of Cheddar, where you will have chance to explore and maybe visit the Cheddar Cheese Company. Roger Wilkins Cider Farm – Sample some proper scrumpy cider and pure organic apple juice. This place is like stepping back in time. A must stop to buy pickles, cheese and of course cider. © 2016 Guide to Somerset | The Castle Hotel Taunton. All Rights Reserved.